Polyphemus was the name of the one-eyed giant (cyclop) who kept Odysseus and his men imprisoned in his cave. 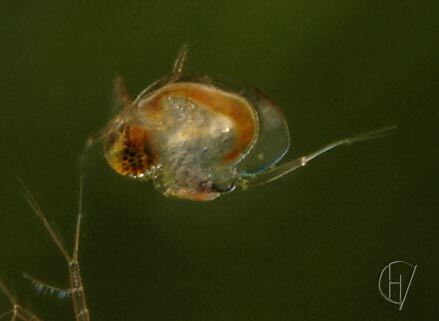 The one eye of this small crustacean is of gigantic when compared to the body, which is very different from other water fleas. It has no shell and is shaped like an S. The legs are not the leaf like phyllopods but together form a little catching basket.